Ginger, a 4-month-old female terrier mix, is available for adoption. She is friendly and loves to run!Wiskers is an 8-week-old female domestic short hair cat. She is playful and full of love. For more information about the shelter visit http://www.stcharlesgov.net/departments/animal.htm. The month of June is also Adopt-A-Shelter-Cat month, so stop by today and see what your shelter has available. 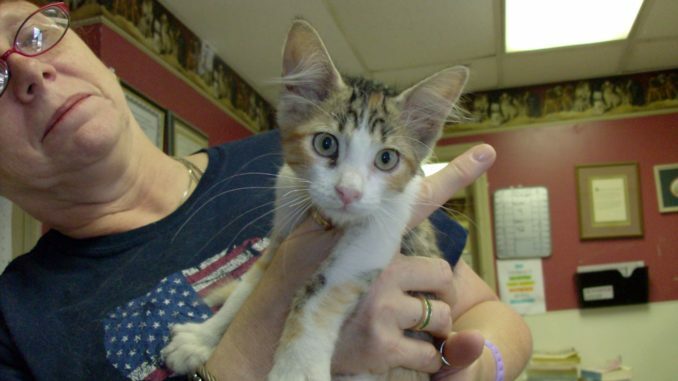 The St. Charles Parish Animal Shelter’s hours of operation are 8 a.m. to 5 p.m. Monday through Friday. It is located under the Luling Bridge on the West Bank. The St. Charles Humane Society shows adoptable dogs at PetSmart, 6851 Veterans Memorial Blvd. in Metairie, on Saturdays from 11 a.m. to 3 p.m. Cats are available at PetSmart during normal business hours.